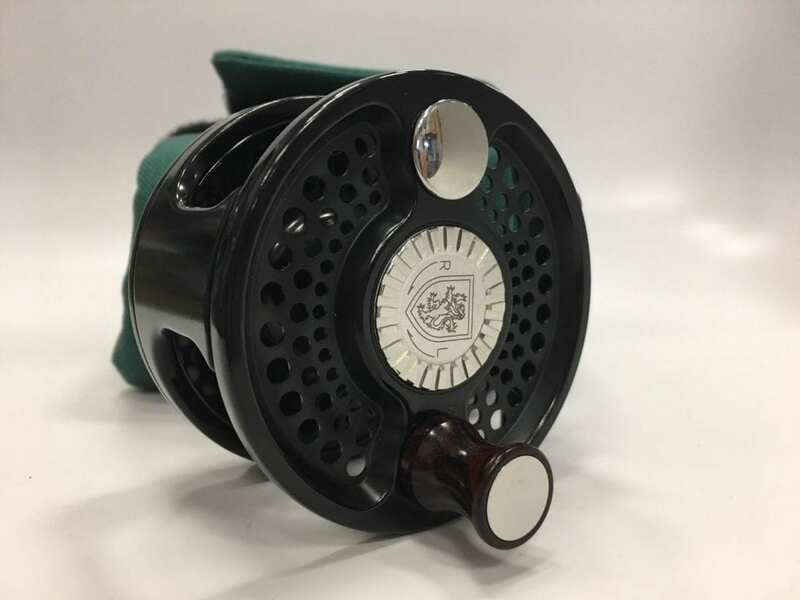 Description: This reel was made by Jack Charlton in 1999, and he retained it due to its rarity. The reel has been lined but never fished, and is in perfect condition. The line has been removed. 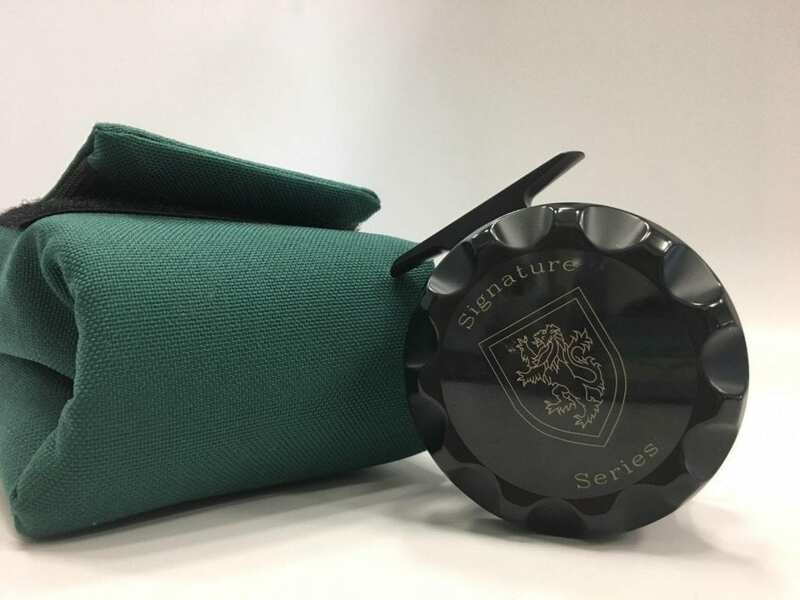 The 8400 series reels were made in 2 widths: .8 and 1.2 inches (the 8500 series were offered in these two as well as a 1.6-inch version). The wider spools allowed for more capacity for a given line size, though the majority of the reels in the 8400 and 8500 series were made with a width of .8 inches. The number of 8400’s produced is low, and the number of 1.2’s that were produced is even lower. 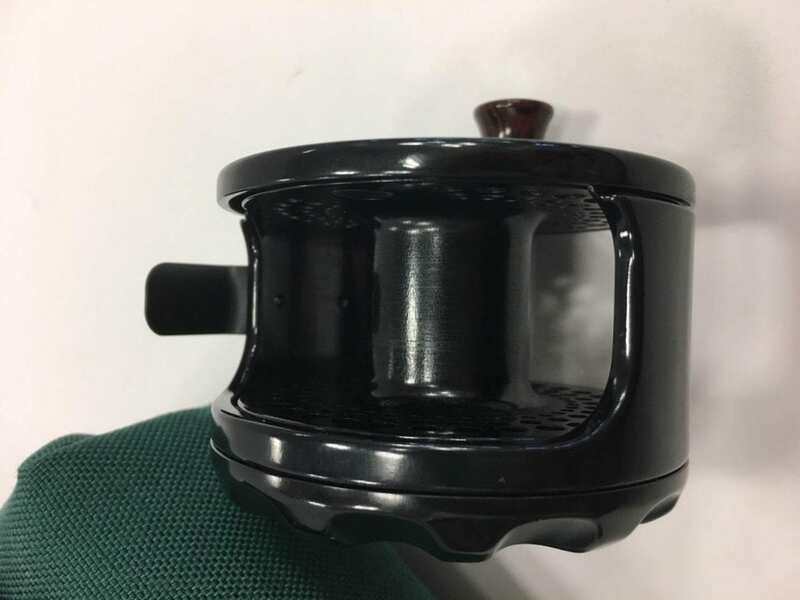 This is a reel that Jack Charlton identified as relevant to the history of the company due to its rarity, and held as part of his own collection of Charlton Reels. Comes with its original green Velcro pouch.